Put my probes in ice and boiling water to check offsets, since wasnt reading same. 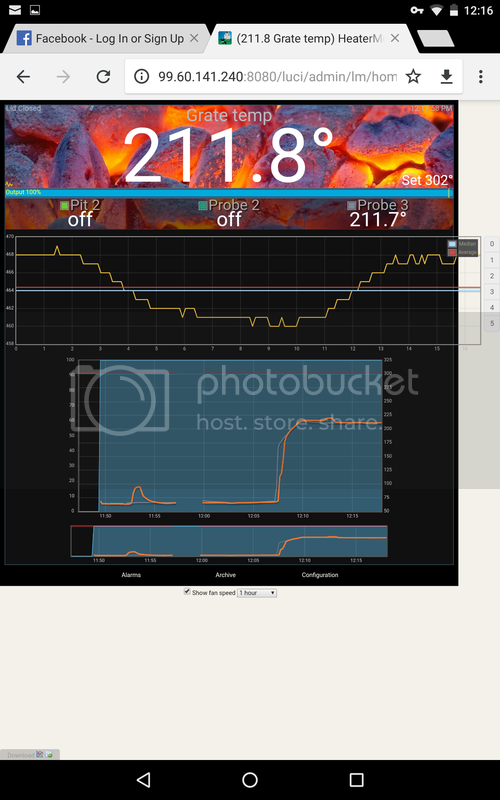 Noticed......thermocouple reading at 212, bounces 215-217. Tried another, bounced 216-217. This reflects what i see cooking too...the reading is unsteady by 1-2F. The reading is not unsteady in my multimeter. Thus....seems to be a defect in the heatermeter thermocouple amplifier? Bare wire thermocouples could bounce around rapidly....a probe cannot. Anyone else see this? Is there a fix? I've observed others online cooks that bounced around by one degree or more also. As someone who used a lot of lab equipment that stable at 0.1 degree.... This seems kind of poor. It did not fluctuate like that at cold temperature on ice. Is there some kind of grounding issue? Last edited by MartinB; 01-26-2019 at 04:24 PM. HeateMeter is definitely not a lab-grade device, but if the temperature is fluctuating that much then there's no way it would ever be able to control a pit as the fluctuations would confuse the PID controller. with the variation extending one or maybe two ticks on each side of a center. It's ok if there's a ton of blips, as long as they're only 1-2 units tall. If you're seeing a jaggedy line going all over then that's noise coming in from the AC power, or being coupled through the braid of the thermocouple. If it matches mains AC frequency, you can cancel that out in the config page by turning on the "A/C input line noise filter" in the config. Why not smooth this noise in thermocouple? Last edited by MartinB; 01-27-2019 at 06:46 AM. RE: grounding issue... I do prefer ISOLATED thermocouples as opposed to grounded ones. What kind of thermocouple are you using? It is smoothed / oversampled / filtered but if your noise is bad, even the hundreds of samples that are combined will have enough variation that your number is going to jump up and down by a few degrees. Remember a few degrees is around 5mV peak-to-peak, which is not a lot compared to what can be coupled into a HeaterMeter. Did you try the noise firmware to get a visualization of what you're dealing with? I will try a shorter thermocouple and twisted pair instead of parallel too . Below . First is without ac filter. Second is with. At room temp. And with it hot.....with the filter. Last edited by MartinB; 02-05-2019 at 06:11 PM. Last edited by MartinB; 02-05-2019 at 07:27 PM. I tried on a 5a regulated fitered 12 v dc supply i have.....same thing. 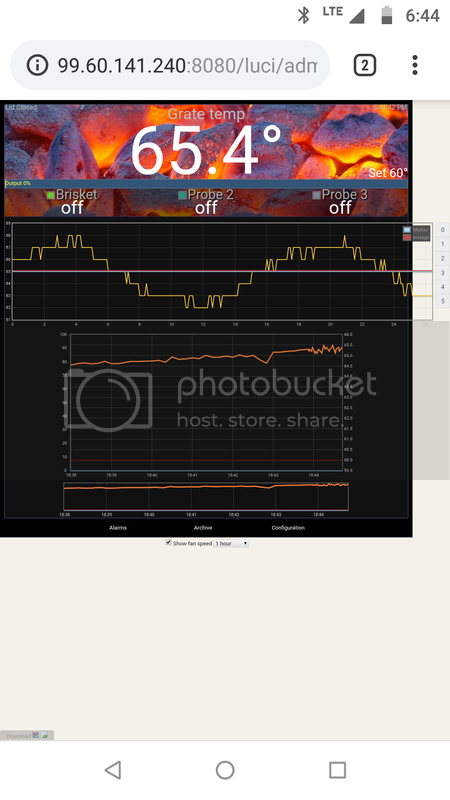 At least in my house when calibrating on boiling water, appears lower noise than other and more stable. Still has the sinusoidal rhythm. Height of variations are 1/2 tic. Now can i get rid of this add-in wo reflashing firmware? Last edited by MartinB; 02-09-2019 at 11:35 AM. There's some interference somewhere. Have you tried on an isolated AC outlet? Grabbing at straws at this point.